We appreciate any opportunity to spread the word about our brand, craft or the running of a small business. If you have media needs please contact us. STEVEN JACOB featured on Colorado’s Best. Article by the Daily Camera in Boulder on STEVEN JACOB and handmade rings. Click to read. Jacob on FOX31 Denver Morning News to discuss small business. Print article in the Franklin Press on STEVEN JACOB. Click to read. Article in Denver Life Magazine - unique Colorado wedding bands. Click to read. Print and digital article in Colorado Biz Magazine about STEVEN JACOB. Click to read. STEVEN JACOB selected as a Featured Artisan on Amazon Handmade. Click to watch. Interview with Mathew Robins Sweet Paul Weddings Magazine. Click to read. Crissa Hewitt and Steven deLuque visit with internationally recognized jeweler and metalsmith Steve Midgett on NPR - part 1. Click to listen. 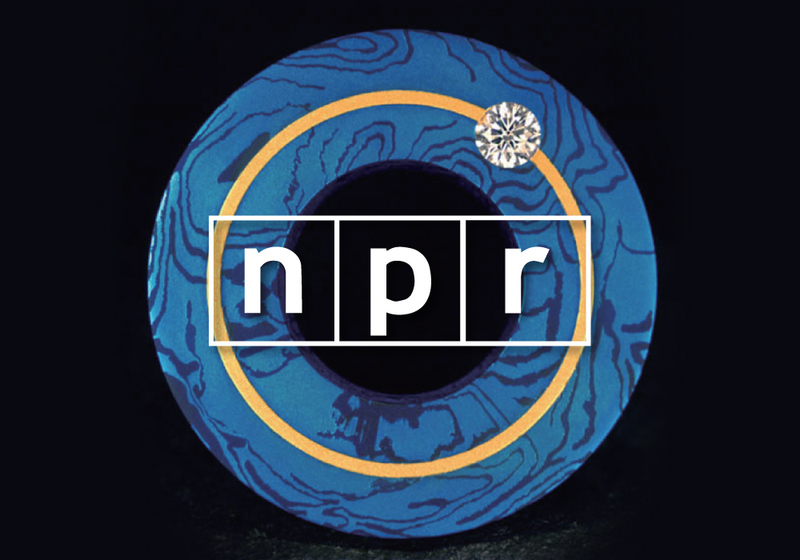 Crissa Hewitt and Steven deLuque visit with internationally recognized jeweler and metalsmith Steve Midgett on NPR - part 2. Click to listen.